The GSO 16" f/8 Ritchey Chretien Astrograph is a dream telescope for astrophotography. 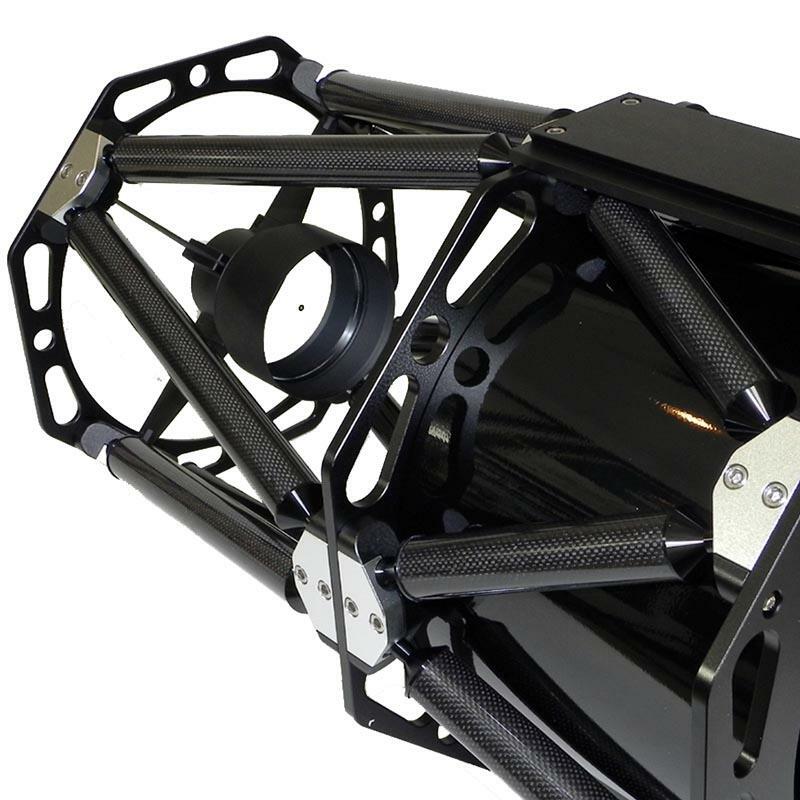 The telescope is fitted with a stable Carbon Fiber Truss tube and a precise 3" dual speed Monorail focuser. 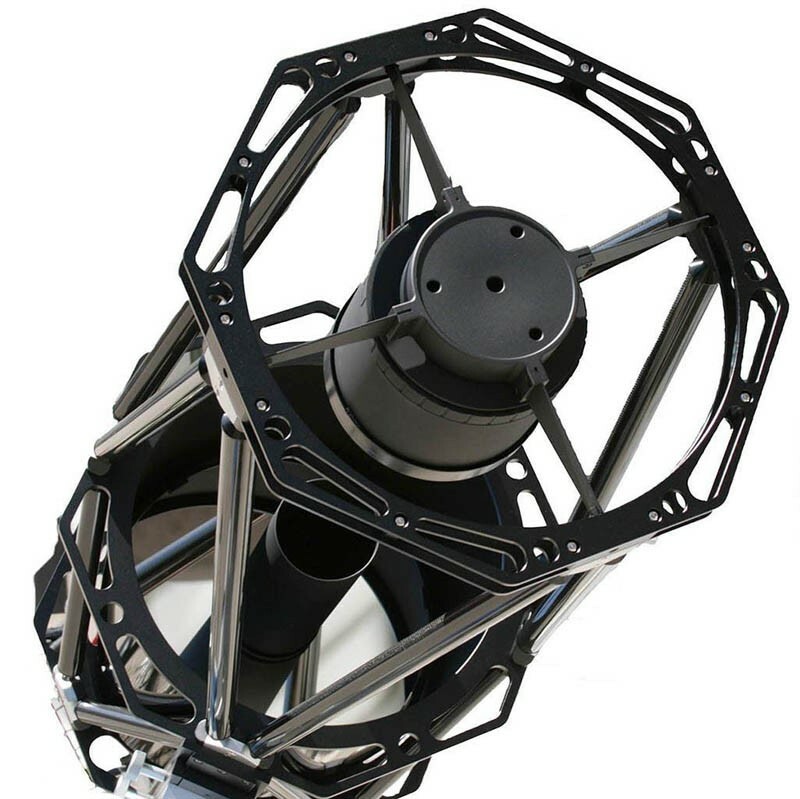 The GSO 16" f/8 Ritchey-Chretien Truss Tube Astrograph is a true RC telescope and will give you spectacular photo results also with large format camera sensors. But also visual observing is a highlight with this powerful telescope. The telescope is transportable and will be carried from mounts of the Skywatcher EQ8 class and upwards. This RC telescope has been optimised especially for astro photography. The OTA comes with carbon trusses having a thermal expansion of nearly 0. The weight of the OTA is 37 kg and it has a Losmandy-style dovetail rail on both sides. 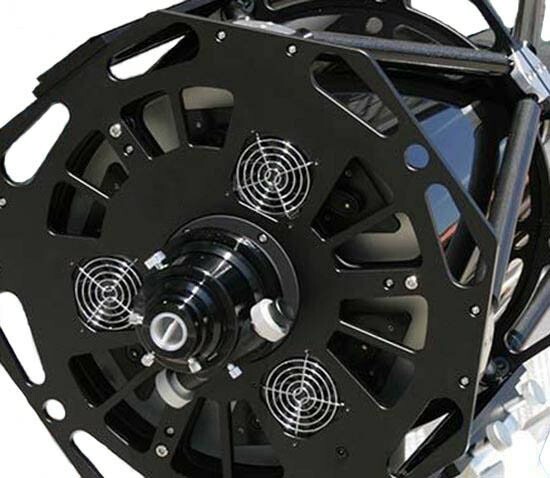 The GSO 16" f/8 RC Astrograph illuminates a maximum field diameter of approx. 70 mm. Without any corrector, 35 mm is possible. In the latter configuration, you have a pure mirror system without any lenses. You don´t need an IR cut filter and you can use the full spectrum with a suitable CCD camera. Please note, due to the very large size and weight of the box (141 x 74 x 69cm, 45kg), this might be a palletised item. We would recommend to either collect it from us or we can arrange delivery to your address. The cost will depend on your address. Please ask for a quotation.